Arthur Carlo is a World Golf Village resident who has given back immeasurably to the community he calls home. 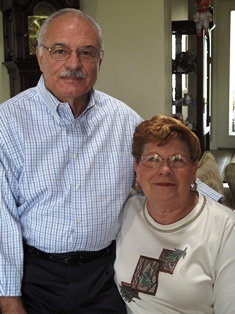 Art has served as the President & CEO of Cascades Homeowners Association since 2007. We recently had the pleasure of talking with Art. Q: How did you come to call Cascades home? My wife, Rosalie, and I wanted to live closer to our grandchildren. We looked at several 55+ communities in Florida, including in Orlando and North Florida. From the moment we drove into World Golf Village, we were impressed. The landscaping and the planning gave the community a welcoming sense of arrival. When we toured Cascades and learned about its amenities, it clearly was a notch above. I call it a cruise ship lifestyle without the water. Then Rosalie fell in love with the kitchen and we knew it was home!